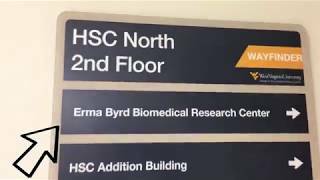 The West Virginia Clinical and Translational Science Institute (WVCTSI) is an academic home and a catalyst for clinical and translational research that targets priority health areas including addiction and resulting emerging epidemics (such as hepatitis C), cancer, cardiovascular disease, and chronic lung disease. Funded by the National Institute of General Medical Sciences Clinical and Translational Research IDeA (CTR) Award, we have established crosscutting research partnerships among the WVCTSI partner institutions and our collaborating Clinical and Translational Science Award (CTSA) institutions to increase research capacity to improve the health of West Virginians and Appalachians. We are driving real solutions for better health. Participating faculty and clinicians across the state are provided with research resources that include biostatistics support, clinical data resources, pre-award support and access to a range of funding mechanisms, and community networks. The WVCTSI has developed a strong infrastructure to increase the number of extramural funded clinical and translational researchers and has grown capacity while developing new ideas and research opportunities to find real health solutions for West Virginians.